I just love the idea of creating a colour so vivid and so loud that you simply can’t not see it. That’s what Pantone and United Way, a Canadian network of non-profits, have set out to do. I wish there was more about the science and research behind this project. Colours are incredibly powerful, so how did they end up with this exact hue? Nevertheless, it’s a great idea, and it is an eye-catching colour. I’ll give my two cents about this. I love the campaign. It’s simple and powerful. I find it surprising (but not that surprising) that there’s so much debate around it. What’s to debate? The man did something right. Nike, a sports brand partnered with the NFL, leveraged that and brought it back to the front page. Not just a clever move that’s got everyone talking, but a morally right move. There’s no need to delve into brands and politics, not in this case. There is no argument. 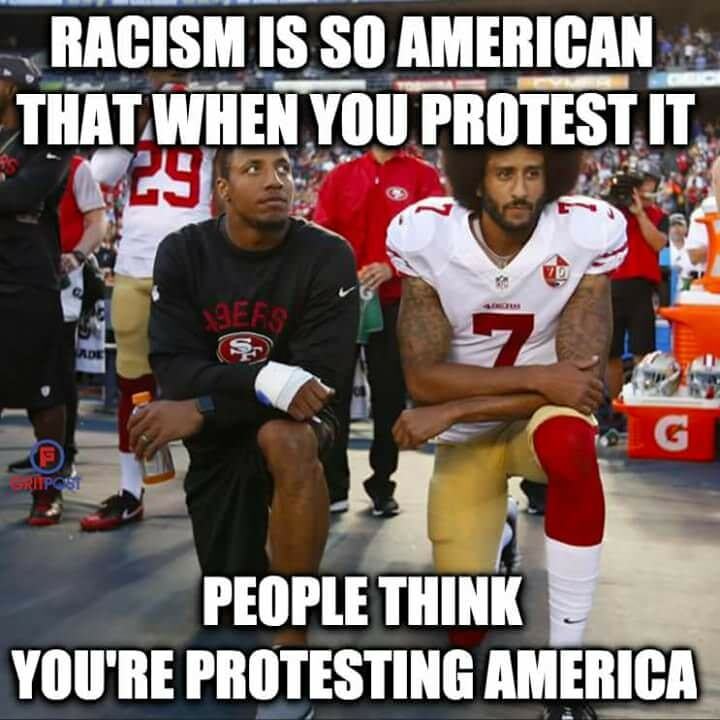 I’m not sure I’d go as far to say as if you’re against what Colin Kaepernick did, you’re racist, but I think this meme puts it nicely. We shouldn’t be discussing whether or not Nike will survive. Oh noes, a multi-million dollar brand has done something “risky”. Nike will be fine. They will make money. People will move on. What we should really be worried about is whether or not making Kaepernick’s incredibly brave protest part of a brand will diminish the original. Or rather; will people remember that he did it and what it stood for, or will people remember that crazy thing that Nike did?